Air Mods NW has been providing quality parts and repair services since 1985. Ken Blackman has been involved with our airplanes since nearly the beginning, and knows everything there is to know about our airplanes. Yankee Aviation is Roscoe Rosche, located near the Center of the Universe at Hamilton Airport in Ohio. Grumman-Gang in Finland is the creation of Lauri Mattila. See the Tiedostoja page for links to FS2000 models. Terry Kaiser is a pilot and a Microsoft Flight Simulator buff. He designs aircraft for FS. He made a Yankee model for a friend and is willing to share it with other Grumman Fanatics. You can see screen shots of the model at his web page, under "aircraft". Col Mark "Snapper" Bennett is offering flight instruction geared toward Grumman owners and operators at Twin Oaks Airfield, Portland, OR. (325) 864-3699. Global Air Referral Service brokers Grummans, amongst other airplanes. The Flight Club is an Australian Grumman flying club that owns two AA5B Tigers. Information about Grumman Tigers including tips for handling, use and maintenance. FREE Classified Adverts for planes, Grumman parts or services. Weight, balance and range calculator for Grummans. Grenaa Airfield in Denmark harbours not less than four Grumman 4-seaters. Visit the Grenaa Grumman-Gang Gallery. Pete Conner of Yankee Aviation Services was a Grumman dealer in the 1970's up until the end. They still serivce a number of Grummans, and Pete is the maintenance contributor to www.landings.com. Pete would be happy to answer any maintenance-related questions you might have either via e-mail through his web site, or via landings. 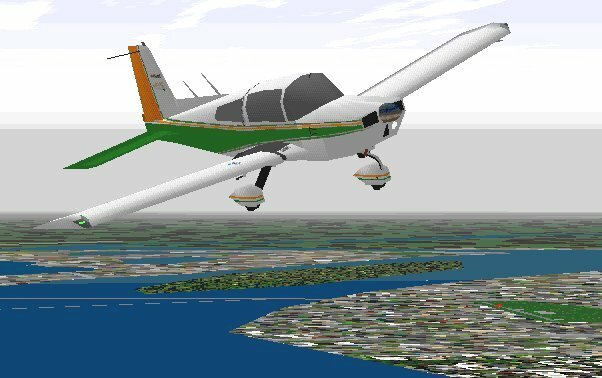 Jeffrey Jacobs put together this zip archive containing add-on files for Microsoft Flight Simulator 98 depicting his Cheetah's exterior, instrument panel and flight characteristics. See some sample screen shots here and here. He also dug into his archives and came up with this pilot report on flying the BD-1, from Flying Magazine's 1965 Flying Annual. The O-290-D2 Yankee FAQ . All about upgrading your Yankee engine to 140 Hp. The Landing Light Thread and Spinner Gap Seal Thread are documented here. The Grumpy Gang featuring photos of the Grand Unplanned Scandinavia Tour held in July. Next time you find yourself without an airplane in Mentone, Victoria Australia, Tristar Aviation has an AA1B for rent. Bill & Carol Scott's Precision Engine. Overhauls and Grumman restorations. Also has "Abnormal Guide Wear in Lycoming Parallel-Valve Engines", a set of articles by Bill Marvel, past president of the AYA, and Bill Scott. Here's Fletchair, a source of information parts and service. Their number is 1-800-FA-WINGS. Barnstormers.com has a "Grummans For Sale/Wanted" section in their classified advertising. Enflight are the people behind Dyncorp DUATS web interface. FlightCalc and AeroPlanner.com provide free flight planning and chart services. Try them both and choose your favorite. AirNav is the US Airport/Facility Directory brought to life. Airport and Navaid information can be found here, as well as FBO info and fuel prices. Check out the Great Deals List for the latest reports of the best fuel prices. Paulo Santos, the provider of Airnav, asks that in exchange for using Airnav, that you help keep the fuel price information up-to-date. Send in updates for your home field. When you return from a trip, send in updates before you throw the fuel reciepts in the trash. Mel Ott hosts a Real Aviation forum, known as THE FLIGHT DECK, as a character known as "Cap'n Tarmack" on www.avsim.com. He also has a "company" known as PFD (Professional Flight Displays). 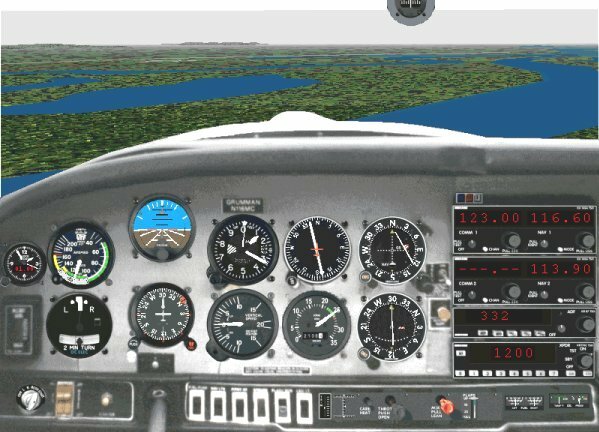 PFD can construct YOUR instrument panel, and YOUR paint scheme, with N NUMBER to allow you to fly on those stormy days right at your home computer in Microsoft Flight Simulator 98. John Denker's See How It Flys - An online book about how these machines really work. Jaco Aerospace is one of the US's largest distributors of aerospace supplies. Sensenich Propeller Mfg. Co will send you a free set of those mid-blade propeller decals. Lycoming will be of interest to all 'gangers. The Air Affair has lots of good stuff like fuel prices at airports in the US and Canada, lists of flying events, destinations, etc. Ron Bauman recommends a nice list of links to FED sites, including the NTSB. He gets preliminary accident reports there. This is a new and better way to find out public information about airplanes, their owners and about pilots. Let's all play Big Brother! Canadian Aviation Web Page has good links to Weather Pages, Topics of interest to Aviators, Government Links, etc. The Aviation Business Center is a springboard to many aviation products, suppliers and services. Youth Flight Canada Education Fund promotes aviation to youngsters. Technically it's quite a page but you better have a fast computer and Netscape 3.0. Airborne Replicas makes aircraft display models.